I recently had a very awkward conversation. I was out networking and I met a fascinating lady. She's a coach and she'd recently hosted an event to help business owners find their core purpose. It sounded like a great event. After chatting for a while, she asked me about my purpose and why I am in business. I explained how I'd left my corporate life when I had my first daughter, why I became a freelance writer and how, after my freelance work started affecting my health and growth, I'd decided to further develop my side-business which I loved. I talked about how it was a tough decision to leave my writing clients behind, but how much I loved my wellness business, how it had helped me grow, how much I love helping and watching other people grow in confidence and success, and I told her about my excitement for the future. She listened patiently and nodded. Then she asked: "But why?" Urm, because I like helping people achieve better health and achieve more income and fulfilment. She looked at me: "I get that, and it's a great reason to be in business. But why is that so important to you?" Then it hit me - and when it did, so did the tears! I realised that the reason it's important to me is because of my Mum. You see, when she had me she gave up her career. And when my Dad's job moved to London, she moved with him. She had no job and no friends, but she loved my father and happily started a new life. But when I was just 8 years old (and my brother was 4), my father left. Naturally, my mother was devastated. She moved back to her hometown in Wales to be close to her family and friends, but from that point on she struggled. She hadn't worked in close to 10 years. She'd lost a lot of her network and her self-confidence. And, with two young children at home, she couldn't go to work. My father contributed to our expenses, and paid more than was legally required, but it wasn't quite enough for a comfortable, worry-free life. That is why what I do is so important to me. 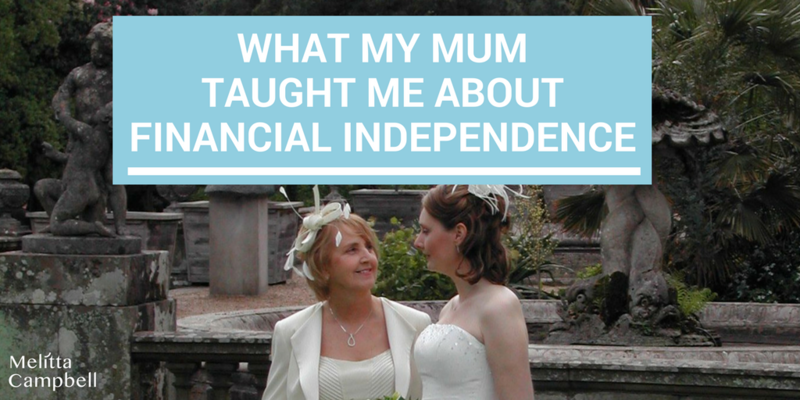 If my mother had had the chance to develop her own business, with coaching and support, she could have achieved everything she wanted. She could have earned a good income in those few of hours a day that we were at school, so she didn't have to constantly worry about how she'd pay the bills. She would have had a chance to learn, grow and rebuild her self-confidence and self-esteem. This positive outlook and feeling that she could achieve anything could have changed her entire life! She would have been able to take us on the holidays she so wanted us to experience. And she could have traded in the clapped-out car with the sunken seats and windscreen-wipers that only worked when it wasn't raining for something safer and more reliable. 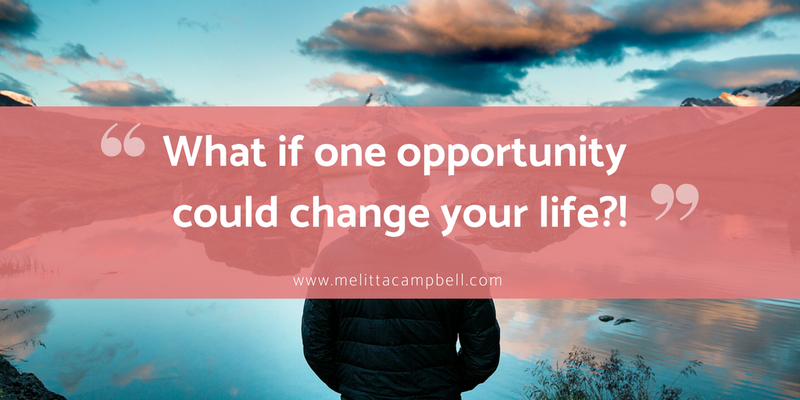 It could have changed her life - and mine - in so many ways! And that's what drives me. Building your own business is not just about improving your own life and gaining financial independence - but about changing other people's lives for the better in the process. If you've ever considered becoming your own boss, I'd love to share more information with you about how I can help you start your own business. Read the Work With Me page to learn more about what I can offer you, or get in contact with me directly. But whatever you do next - always make sure you keep your options open and keep working on your personal development. We live in an uncertain world, but it's our own responsibility to make sure we always have great choices ahead of us! Have you considered running your own business? If you have dreamed of being your own boss and enjoying the perks of leading life on your terms, I can help! I help women like you to build a successful business that fits their own vision, values and personal situation. Check out the Work With Me page for more details of how I can help - or get in touch. For instant tips, download your FREE Business Success Bundle! This is so important! Thanks for sharing this personal story. It makes me think about why it’s so important to me to help other people in their twenties *adult gracefully* as I like to say. I’m not exactly sure yet, but once I pinpoint it, I’m sure I’ll be that much more motivated to create my best business! Sounds like a great cause Nicole – wishing you every success with your new venture once you have it mapped out. There are lots of other tips for aspiring business owners on this blog, so hopefully you’ll find plenty of inspiration to help you here. 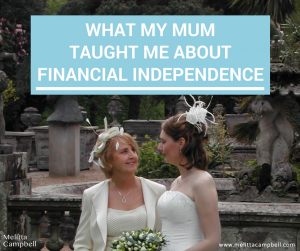 Financial independence is very important, and definitely taught by the people who raise you. My grandmother taught me an important lesson about integrity over money years ago and I’ve never forgotten it. Yes, I think it’s so important to pass good lessons on to the next generation. Thanks for sharing your thoughts Delphine. You have courage, dignity and integrity. You are very inspiring to women and very supportive. That is why women respond to you. Chapeau! Thank you Lynda, what lovely kind words! Thanks Veronica, so glad you enjoyed the article!